Woodland Hat with Navy under visor and seam tape. 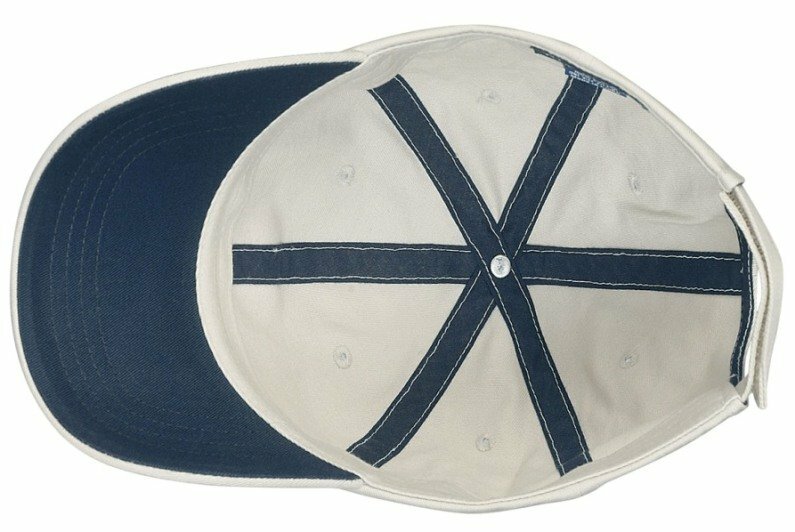 Navy Hat with Green under visor and seam tape. Stone Hat with Navy under visor and seam tape. Black Hat with Black under visor and seam tape. You may assort the Hat colors in increments of 48 hats using the same embroidery color throughout the order. 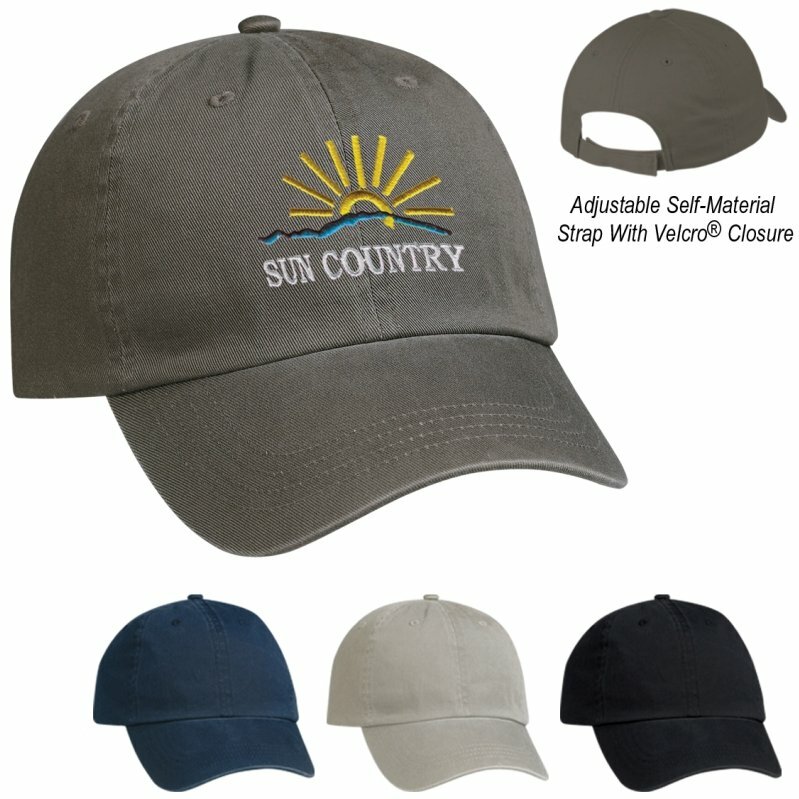 The Cotton Chino Hat quality features include an under visor color and matching seam tape.